After the complaint of ex-soldier against Jammu and Kashmir's BJP MLA Gahan Bhagat of kidnapping his daughter, the disciplinary committee of the state recommended suspension of party MLA. On June 24, the ex-serviceman accused the R S Pura MLA of abducting his daughter, a charge denied by the woman as well as the politician who termed the allegation as an attempt to defame him. "The committee proposes to the president of J&K BJP that Gagan Bhagat is immediately suspended for a period of three months from the party," Chairman of disciplinary committee Sunil Sethi said. The committee also said that within the suspension period, Mr Bhagat is given directions to settle all dispute to the satisfaction of the complainant parties, he said. The three-member committee comprising Mr Sethi, N D Rajwal and Virinderjeet Singh has sent their recommendation to the party president. Mr Sethi also said, the committee also proposes that Mr Bhagat is restrained from holding any official position in the party for the period of one year. 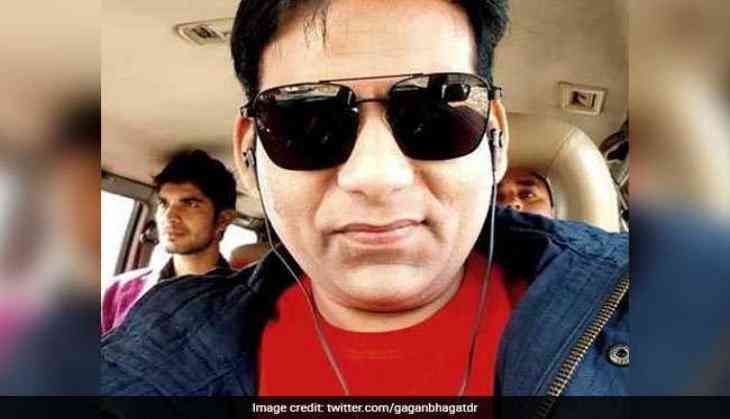 "If Gagan Bhagat fails to resolve all disputes to the satisfaction of complainant parties within a period granted to him, he be expelled from the party to not only do justice but also send a message to all members of the party that indiscipline in the party will not be tolerated and the members of the party have to keep their image clean in the public," he said. The committee also said that MLA Bhagat is informed about his right to appeal, in case, the state president choose to inflict punishment, it said. All the record of the matter including file and other material have been sent to the president, Mr Sethi said.